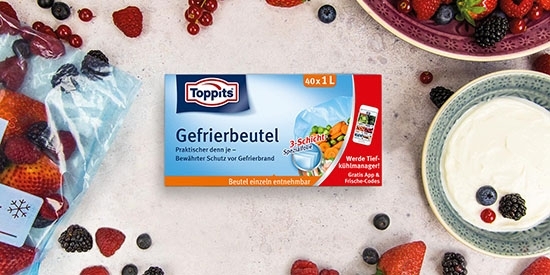 Schnelles Knuspern mit den Toppits® Gefrierbeuteln. When you fancy something sweet, you just have to have it fast! And the delicious cake or the homemade biscuits that with your wise foresight you have frozen will take forever to thaw. Or maybe not! Why not try this very simple trick? Frozen biscuits or cakes are best defrosted in a convection oven with the cold air blower switched on. 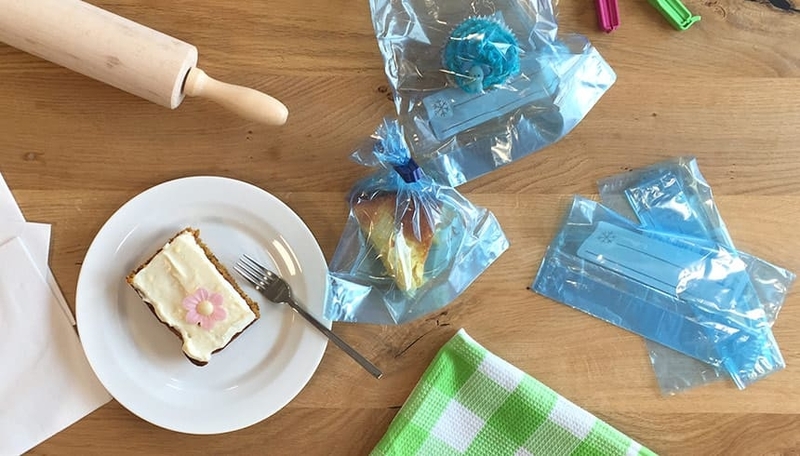 Our tip: Just leave the baked goods in the freezer bag when you put them in the oven. This way you can unpack them fresh later and enjoy them immediately..